If you’re feeling the summer heat and you’re looking for a healthy treat, look no further. We love ice cream, but sometimes, we just want a refreshing post-workout popsicle to snack on when it’s hot and we’re still sweating from that high-intensity interval training class. 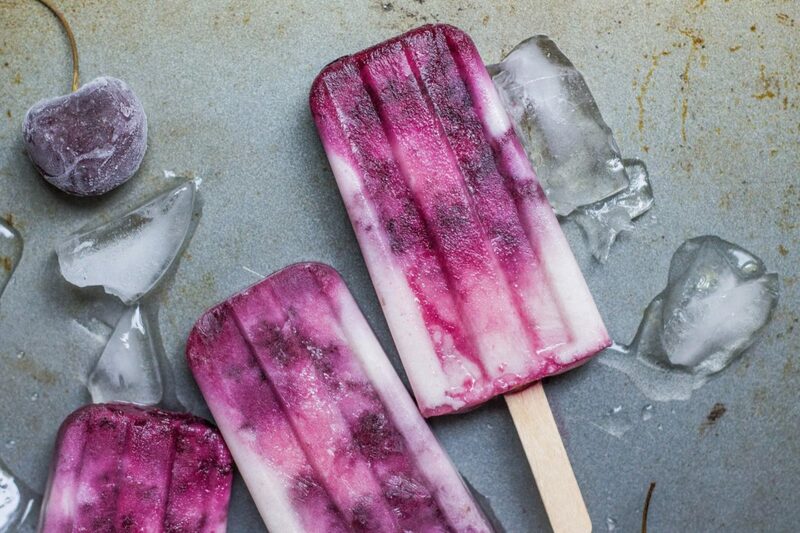 Go ahead, we give you permission to swap your daily smoothie with a frozen popsicle—you can even use many of the same ingredients! Here’s how to build the ideal healthy treat. Fresh fruits like pineapple, strawberries, mango and watermelon taste even better in frozen form—and they’re naturally sweet, so you don’t have to add in any extra sugar if you don’t want to. If you’re a chocoholic, try a blend of banana and unsweetened cocoa powder for a creamy, chocolatey treat, like these chocolate banana split popsicles from Joyful Healthy Eats. Coffee is also a wonderfully refreshing flavor (and a midday pick-me-up). Almond milk, coconut milk, coconut water and full-fat yogurt make excellent bases for this icy dessert. For lower sugar content, make sure to use unsweetened milks, and try full-fat unsweetened yogurt for added protein and probiotics, like in these cantaloupe yogurt popsicles by Health Starts in the Kitchen. Peanut, almond or sunflower butter also make great, protein-packed ingredients, and a dash of vanilla extract or cinnamon is not only delicious but also good for your heart. If you have a major sweet tooth (no judgment) and the natural sweetness from the fruit just won’t do, add some honey, stevia, pure maple syrup or agave to your mixture. Sparingly is the name of the game here. Most fruits are already high in sugar, so just a dash or dollop will do. Blend all your ingredients together, pour into a popsicle mold (or plastic cups—adding the sticks halfway through the freezing process so they stay put) and freeze. In a few hours, pull out your deliciously healthy concoction and enjoy!